I created a hearing training form. 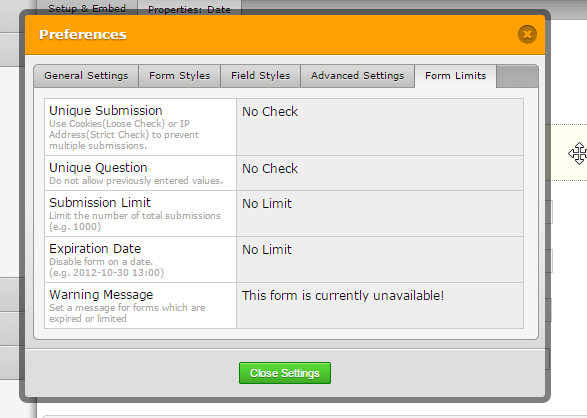 When the participants enter their information and hit submit, they get an error message that says "Form Not Available". Upon checking the link that you shared, I see that it is now available. Have you managed to solve the problem? If you are still having problems on it, you can check the Preferences->Form Limits. You'll see the options there that will make your form unavailable.